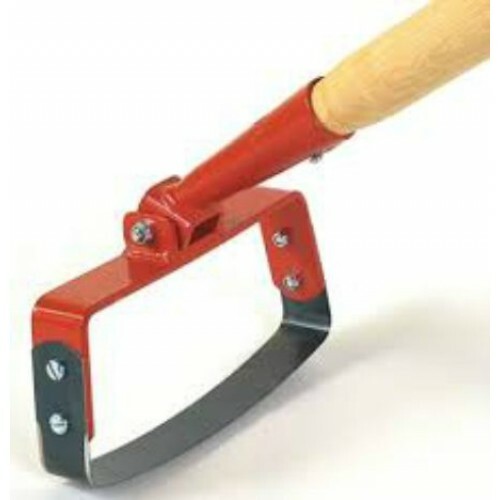 The double action Oscillating Hoe has an outstanding reputation for being fast and effective. Weeds are cut by pushing/pulling the sharp blade through the top layer of the soil, loosening the soil and improving air/water penetration. Blades are self sharpening. Without handle. Ideal for use with 1.7m handles.